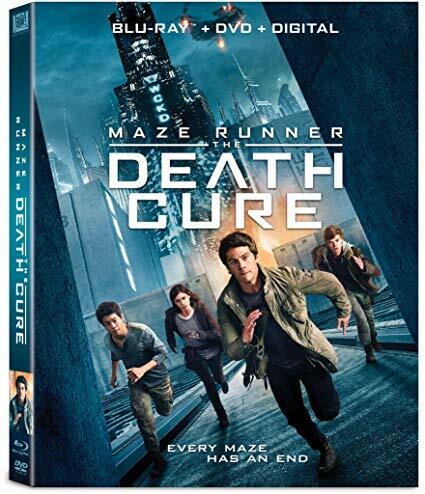 In the conclusion to the Maze Runner trilogy, Thomas and the surviving Gladers prepare to face off against WCKD one last time as they fight to find a cure for the deadly disease known as The Flare that has wiped out most of the world. Friendships and loyalties will be tested and the fight against WCKD will also determine who will survive in the end. Lots of action but a little lax on the story line. I felt like I had too big a break in between the movie to really remember much of the series anyway, at least, since the maze. This apocalyptic society they live in is harsh. It makes for great entertainment, but is pretty far-fetched. This story did try to center around finding a cure for this death. It reminded me of The Walking Dead. These people are cranks though, so don't get it confused. I still haven't read the series, nor do I think I will. I know the books are generally better, but I am kinda over this series and the theme of dystopian societies. It is what it is. **Compensation may be earned from the links within. A screener was provided to facilitate a review. Yeah, I didn't think it was all that impressive. I was a little disappointed.